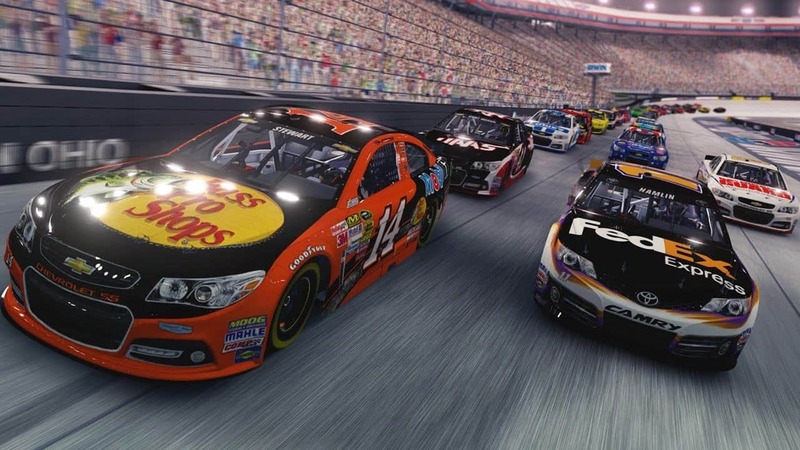 NASCAR is getting another game as 704Games out of Charlotte, NC has announced the release of NASCAR Heat 2. The game releases on September 12, 2017, and will be available on PlayStation 4, Xbox One and Steam (PC). “This new game will have a very different look and an enhanced overall experience that reflects the insights of actual NASCAR drivers,” 704Games CEO Paul Brooks said via press release. NASCAR Heat 2 will build upon the base that was built with NASCAR Heat Evolution in 2016, the studio claims. Improvements to the game will include an enhanced online multiplayer offering, a deeper career mode, track updates, additional drivers and a number of other new features based on what fans see every week during the 2017 NASCAR season. It wasn’t mentioned whether the new segment system that NASCAR has implemented for the 2017 season will make its way to the game, but one has to assume it will be there. Sports Gamers Online will have more on NASCAR Heat 2 throughout the summer as its release races closer. Previous articleYou Won’t Believe What Team Tom Brady Uses in Madden!